We are local to Perth northern suburbs. Our head office is in North Perth but we travel to Mindarie and beyond. Contact our professional commercial and residential specialists in the Perth northern suburbs today. The northern suburbs of Perth can be a wonderful place to reside in. People have been moving to this part of Australia in large numbers over the past few years because of the rapid development of infrastructure and other facilities in the north including easy access to various types of services needed for a comfortable lifestyle. What should you expect when you hire professional Perth northern suburbs window cleaners? Experienced window cleaners will first make a thorough assessment of the conditions by taking into consideration the number of windows, their height from the ground, how they can approach these windows and which tools and processes will work best under the circumstances. Our professionals will help you get the outcome you desire by using the best tools and methods specifically needed for the type of glass and the kind of apartment or home you live in. They will be able to tweak specific elements of their services to make sure your windows sparkle and look spotlessly clean. Getting the best results is something every resident or commercial business owner in Perth northern suburbs desires. But that result must be achieved using the right approach. This includes using Eco-friendly solutions and avoiding harsh chemicals that can damage the glass panes and frames permanently and can even leave behind streaks. Hiring window cleaners that have a presence in the northern suburbs of Perth will definitely be a smart move. As they are familiar with the type of residences and offices in this part of Australia and will therefore be fully prepared with the right equipment and tools needed to handle and finish the task efficiently. Top window cleaning services in the Perth northern suburbs can be trusted to provide professional results regardless of whether you are living in a standalone home or in a multi-storey apartment. They use methods that are environmentally friendly, non-abrasive, and devoid of solvents, alkali or ammonia. Their processes will not leave any streaks or scratches on the glass panes as a lot of planning and care goes into every project. Hiring the services of a professional can make a huge difference to the quality of work and thus the final outcome. You can have a stress-free experience as they use proven methods that ensure your windows stay clean for a longer duration. When you plan to get your windows cleaned, it is important to use the services of a company that has extensive experience in cleaning and maintenance of all types of windows and in diverse settings such as apartments, high-rises or large office blocks. It is recommended that you choose a local service in the Perth northern suburbs because they will be able to reach you faster and serve you better because of their knowledge of the local surroundings, weather and other factors which can affect both the process and the outcome. On top of this a local window cleaner will most likely be able to offer you more competitive pricing. 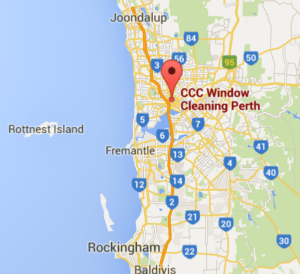 CCC are Perth northern suburbs premier commercial and residential window cleaners. Go local and call CCC for a free quote today. Every cleaning service has its own way of preserving or improving the beauty of a house or an office. This is the reason why you must be very specific in your standards each time you search for a cleaning company. You need to be specific in terms of the part of your property which needs to be cleaned, the most convenient time for cleaning, and type of cleaning you want. If you want to focus on your windows, check in your local Perth Northern Suburbs area for more information. When looking for window cleaners in this location to clean your windows, make sure to give clear instructions. This way, there will be no problem and you will not leave them confused during the process. On the other hand, there may be several reasons why you call a professional cleaning company. Aside from seeing your windows dusty, you might want to sell your house soon. To increase the value of your home, you must prepare this property before showing it to the prospective buyer. You must clean every hidden part and corner of the house, replace too damaged parts, and repair minor issues in it. If you want to guarantee that your windows are clean and shiny, you must count on the presence of window cleaners. They have been experts in using the latest cleaning technology regardless of the window type installed on your property. Some of these window cleaning professionals provide packages to help you save money. The common packages involve working on the hard-to-do colonial windows, cleaning inside glass, cleaning and removing all screens, and cleaning inside and outside window tracks. Do you own a commercial building with dirty and dusty windows? Worry no more because your window cleaners Perth Northern Suburbs will handle this problem. They will clean the windows externally and internally, including the window tracks and frames. Some companies even use waterfed poles called “Pure Water” or “reach-and-wash” technologies to thoroughly clean even those hard-to-reach areas. They can schedule window cleaning around your working hours. This way, the process minimizes the impact on the employees. Otherwise, the team works quickly and quietly while maintaining top quality and thorough results. Find a window cleaning service that can eliminate unnecessary objects on your windows completely without damaging any part of the glass. In this tough cleaning process, it is the attitude that will make a cleaning company last for many years. Every team member or staff must be hardworking, patient and dedicated to complete the work without causing disturbance, damage or distraction on-site. Call a local Perth Northern Suburbs window cleaner who is fully insured and have national certificates essential to operate legally; 0perators who will not leave your property until the work is up to standard. 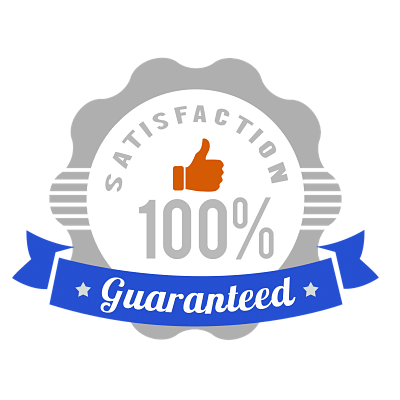 The experience and customer care service of the window cleaning company will contribute a lot to the overall success of the cleaning project. Hire a professional Perth northern suburbs window cleaner today.